View Portugal Visa Application Centre, San Francisco, USA phone number, email, address, working hours, website. View Portugal Visa Application Centre, Riyadh, Saudi Arabia phone number, email, address, working hours, website. View Portugal Visa Application Centre, Jeddah, Saudi Arabia phone number, email, address, working hours, website. View Portugal Visa Application Centre, Al Khobar, Saudi Arabia phone number, email, address, working hours, website. View Portugal Visa Application Centre, Dakar, Senegal phone number, email, address, working hours, website. View Portugal Visa Application Centre, Johannesburg, South Africa phone number, email, address, working hours, website. 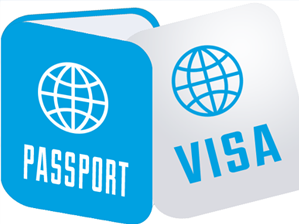 View Portugal Visa Application Centre, Durban, South Africa phone number, email, address, working hours, website. View Portugal Visa Application Centre, Pretoria, South Africa phone number, email, address, working hours, website. View Portugal Visa Application Centre, Cape Town, South Africa phone number, email, address, working hours, website. View Portugal Visa Application Centre, London, UK phone number, email, address, working hours, website.